Probate is the legal process through which the court decides how an estate will be divided. The court will look to your last will to decide how to distribute your property and will follow the will, unless it is successfully contested by your heirs. If you have no will the laws of California determines how your property is divided. Generally, if an estate includes real property, a formal probate action is required. Estate planning help you to avoid probate because you plan ahead. 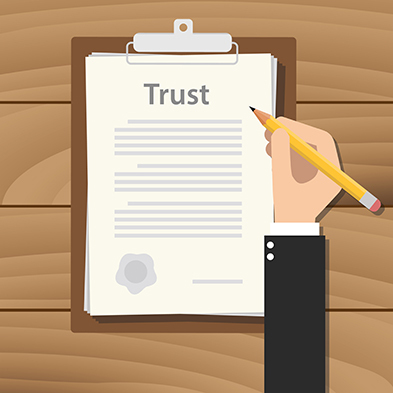 A living trust is a legal document that states who you want to manage and distribute your property if you're unable to do so, and who receives it when you pass away. Once signed, you fund your trust by transferring ownership of your assets into the trust and you remain in complete control of your property during your lifetime. We know that the similarity between the names of different estate planning documents can be confusing. A living will sometimes is confused with a last will. A living will or advance directive is a simple document in which you state your wishes for life support and other types of medical care. A last will is a document in which you spell out what you'd like to happen when you pass away. A pour-over will is a last will and testament that serves as a safety device to capture any assets that are not transferred to or included in your living trust. This could include assets you acquired after you established your trust. A pour-over will instructs the court to create a living trust as to assets not transferred to the trust at the time of your passing. We include a pour-over will in your packet because if you don’t create a pour-over will, those assets will be treated as if the person had died without a will and those assets pass to certain heirs under California law. These heirs may differ from the trust beneficiaries, meaning that your assets could go to someone that you never intended. A power of attorney is a legal document that gives someone the authority to act on your behalf. The person who gives the authority is called the principal, and the person who is given authority is called the agent or the attorney-in-fact. A general power of attorney gives someone the authority to act in a broad range of matters, such as buying and selling real estate and personal property, managing your banking and investments, operating a business, handling taxes and lawsuits, and applying for government benefits. A special power of attorney, gives someone the authority to act only in a limited situation, which you specify in the document. A springing power of attorney enables your agent or the attorney-in-fact to handle your affairs if and when you become physically incapacitated or mentally incapable of handling your affairs.